Peter Lock was appointed the CEO of Heritage Bank in 2015. Toowoomba-based Heritage is Australia’s largest customer-owned bank, with more than $9 billion in assets, a 61-branch network, and home loan customers all around the country. Peter has more than 30 years’ experience in the financial services industry, spanning insurance, institutional banking, business development, business banking and corporate banking. 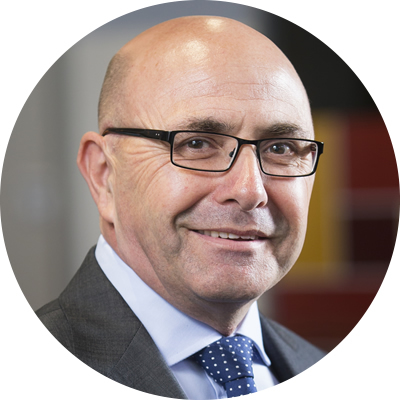 He has held senior management roles at the Bank of Melbourne, St George Bank, and the Commonwealth Bank, following a career with the National Australia Bank. He has also run his own corporate advisory firm. Peter is a Senior Fellow of the Financial Services Institute of Australasia, and a Graduate Member of the Australian Institute of Company Directors. He has a keen interest in leadership and community, and has been part of numerous capacity-building committees in a mentoring capacity. Peter holds a Bachelor of Business and a Master of Business Administration from the University of South Australia.